It will be a great night!!! 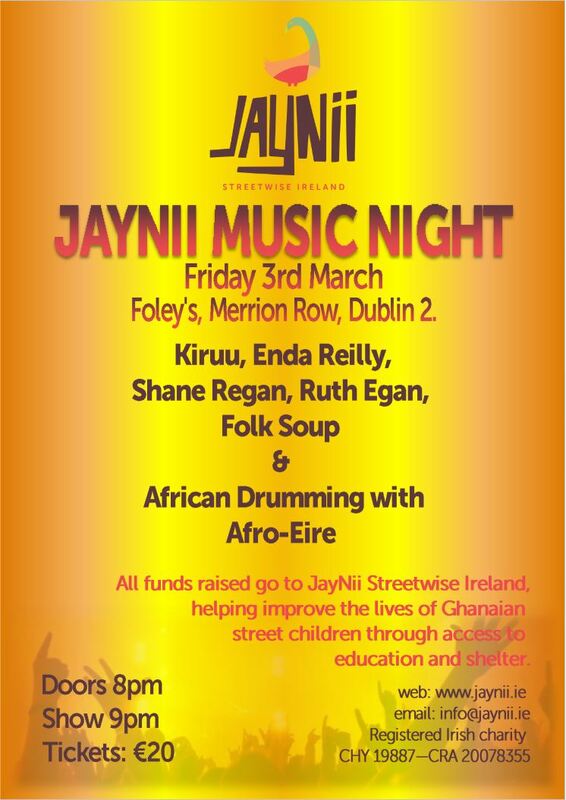 some great music and an opportunity to get your dancing shoes on later in the night…and a great way to combine Friday night drinks with a good deed!! available here (small booking fee applies). featuring Laura Byrne, George Fox, Jim Elliott … and David Reilly MC. Tickets 20 euro, available here (small booking fee applies). Walk, Jog or Run the Dublin Women Minimarathon for JayNii this June! Calling all ladies for the Dublin Women Minimarathon in June! At JayNii Streetwise Ireland we are putting together a team of lovely ladies like you! who like a bit of a challenge for a good cause and are going to waddle, walk, jog or run the Minimarathon for JayNii Streetwise Ireland this June! This year the event will take place on the Bank Holiday Monday 6th June 2016. If you were already planning to take part, or even if we just gave you the idea, please consider walking or running it on behalf of JayNii Streetwise Ireland … Your support and effort would be highly appreciated. It is a great way to get fit, enjoy the challenge, make new friends and all this for a very very good cause! So just get those comfy shoes on and get in touch with us. Make sure to sign up early so you can ensure your place in the event!!! Calling all ladies for the famous Dublin Women Minimarathon in June! This year the event will take place at 2pm on Bank Holiday Monday 2nd June 2014. 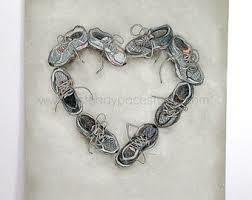 To sign up for it you can enter online http://www.florawomensminimarathon.ie/or by postal entry. The postal entry form can be found every week in the Wednesday and Saturday edition of The Herald. The online entry for the Flora Womens minimarathon will open in a couple of days for now, on February 19th! This year we will be there with you ladies… we will get together before starting and we will celebrate our successes together after the race. It is a great way to get fit, enjoy the challenge, make new friends and all this for a very very good cause! So just get those comfy shoes on and get in touch with us. 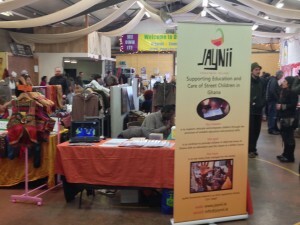 JayNii at Fusion Sundays World Culture Market on Sunday 9th February! Hello all, JayNii has a small stall at the Dublin Food Coop in Newmarket this saturday January 25th….our calendars and Cds are on sale….call in to say hi, have a look and dance a step or two at the sounds of JayNii Internation Band and our kids singing!! JayNii 2014 Calendars on sale! We still have a few of our beautiful 2014 calendars for sale! Have is a sample for preview….. They are sold at 7 euro, all profits (3.5 euro a calendar) go into our Streetwise project. Contact us at info@jaynii.ie if interested in purchasing one (or more). We will be very happy to post it to you free of charge. 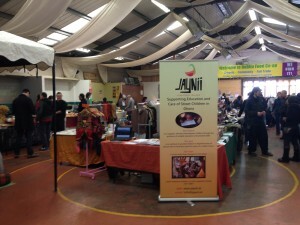 JayNii has a stall at the Blackrock Market on the last Sunday of every month….come and see us! The market is open from 11am to 5.30 pm…. JayNii Streetwise made their first succesfull appearance at Blackrock Market in Dublin on Sunday 27th May…. we had a great day ! Even if half of Dublin was enjoying the sunshine at the beach, our sales went really well (every penny we make goes to JayNii Streetwise! ), we met some lovely people, we had fun and we even made some new friends for JayNii! We will be back!…Everybody seems to want us to (customer and other stall holders)…thank you all for your support! and watch this space for the next date. We are getting organised to be there on the last Sunday of every month! Walk Jog or Run for JayNii! 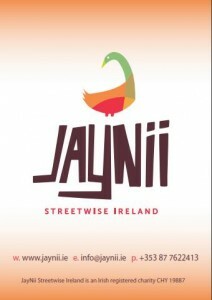 Walk Jog or Run for JayNii Streetwise Ireland! If June bank holiday doesn’t suit you, there are hundreds of runs in Ireland you can do…for all different levels….from fun walks to strenous mountain races…from 5k to the Marathon….just set your target, start training! And give us a shout at info@jaynii.ie, so we can provide you with a fundraising pack. No idea on when and where? You can search a run close to you on the internet http://www.runireland.com/events is a GREAT source of information.